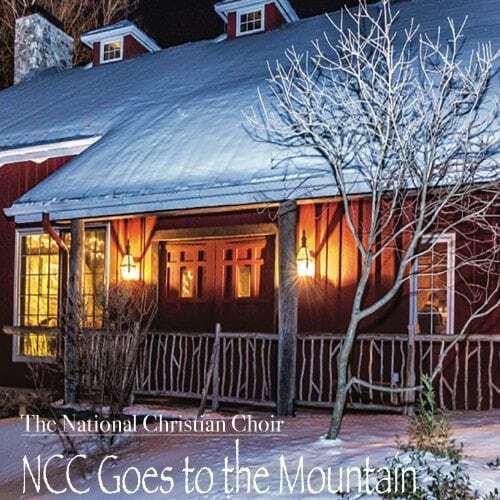 On a sparkling winter day, the 170 voices of the National Christian Choir went to the mountain! ThorpeWood Lodge – a beautiful setting in the Catoctin Mountains, just outside of Thurmont, MD and not far from Camp David – provided the backdrop for a praise-filled afternoon as the singers lifted their voices to honor God! Snow-covered hills and towering trees could be seen through the windows as sounds of exaltation rang out from the rafters of the rustic lodge. Then with the January sun waning, the Choir’s ensemble, “2nd Edition”, gathered around the soaring stone fireplace to share a poignant a cappella rendition of “Mary, Did You Know” – a fitting close to a meaningful day of musical worship. And now you can be right there with us for this “mountaintop experience” through this DVD. We pray that you will be blessed as you watch and listen. *Sample available within Media section of website.